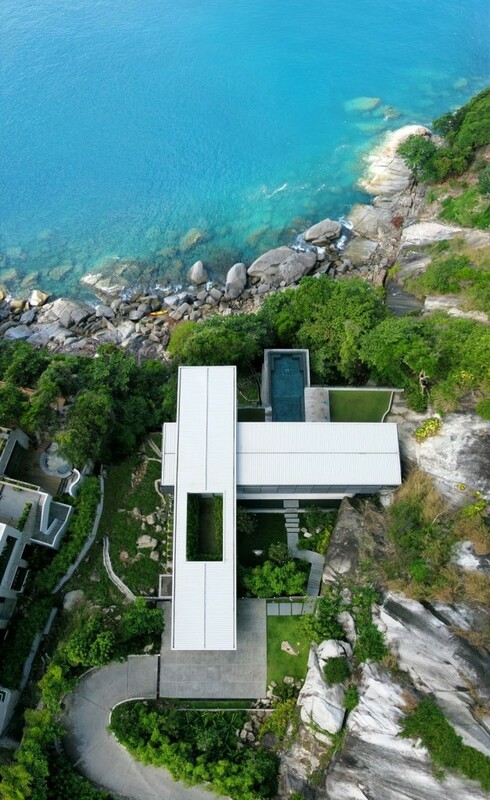 The Villa Amanzi by Architect firm Original Vision Studio is a stunning modern vacation residence located in the exclusive Cape Sol on the West coast of Phuket, Thailand. 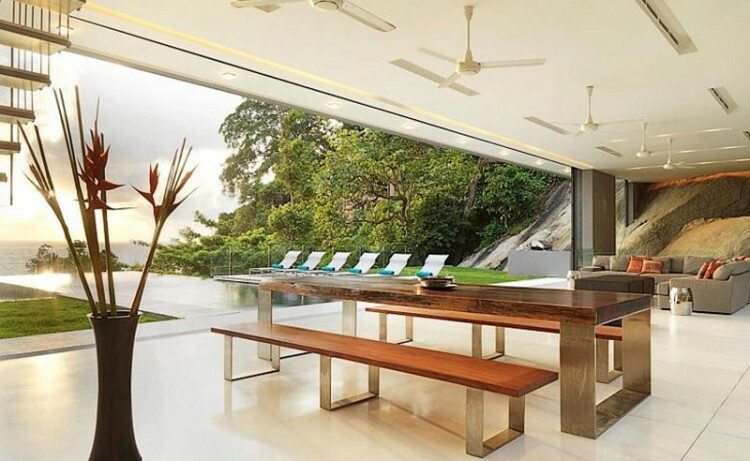 Original Vision Studio specializes in leisure architecture throughout southeast Asia. 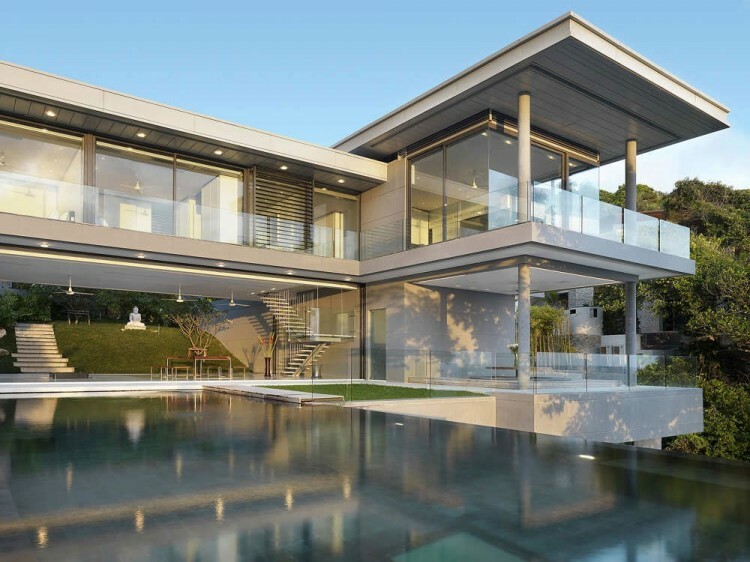 The residence (8,600 sq ft) offers six bedroom residence with a 15m infinity pool and breathtaking views over the Andaman Sea. It is designed as an exclusive private villa, ideal for families or groups of friends to escape together in stylish yet relaxed surroundings. 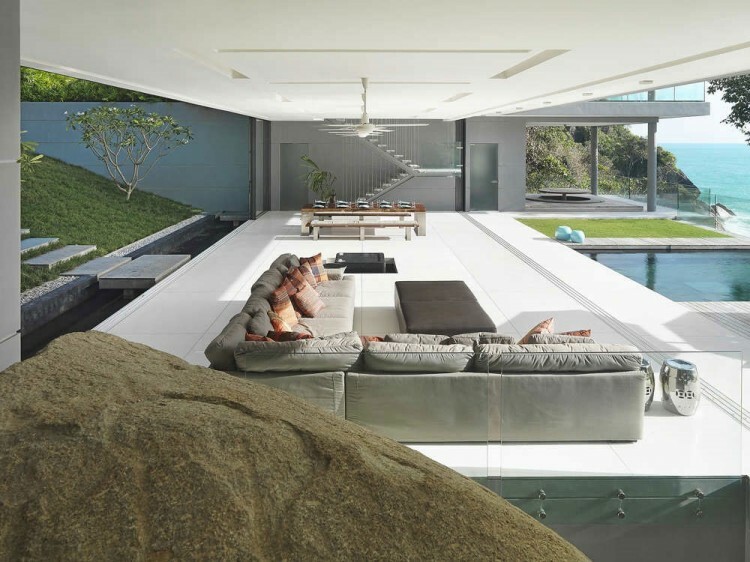 The mix of cutting edge technology, modern design and natural beauty results in a remarkable and unique property. 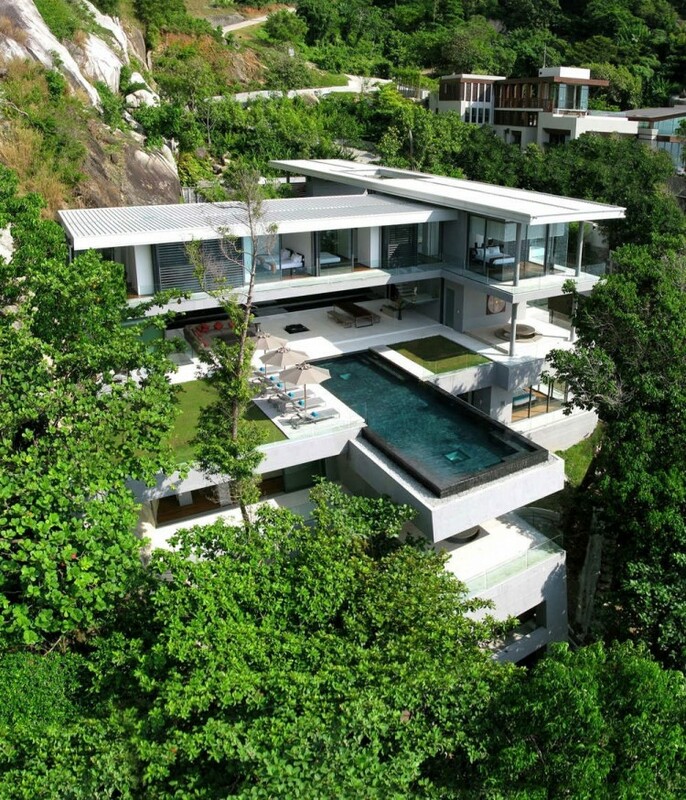 As a vacation residence, the Villa Amanzi can be booked for $2,000 to $4,500 per day, depending on the season. 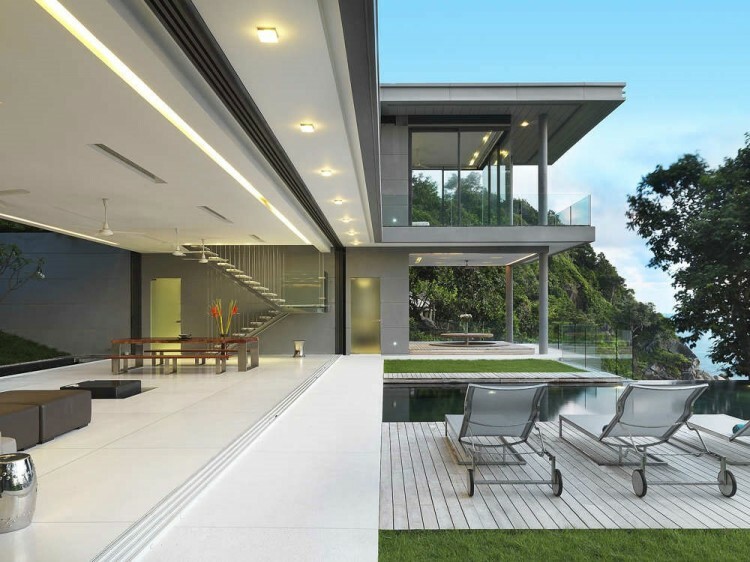 Love… Dreams of owning a house like this! 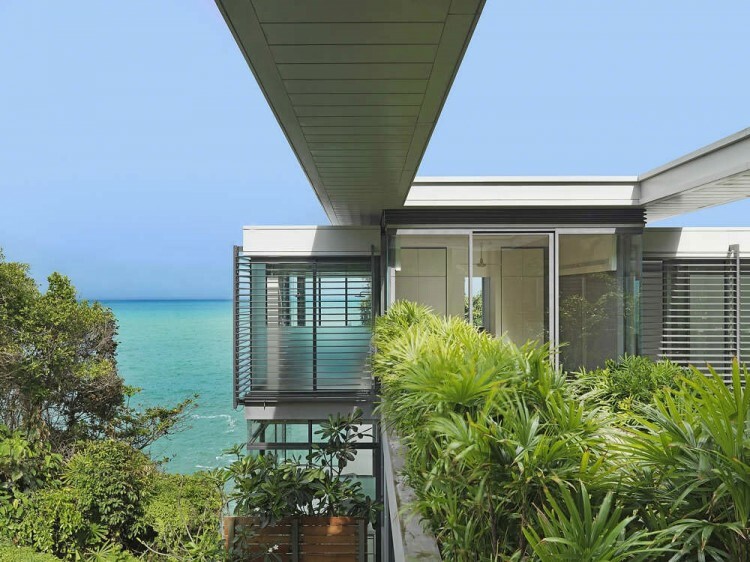 smartly architect solve the volume of architectural concept and site location with sea view, also the design create spaces that related to landscape area. 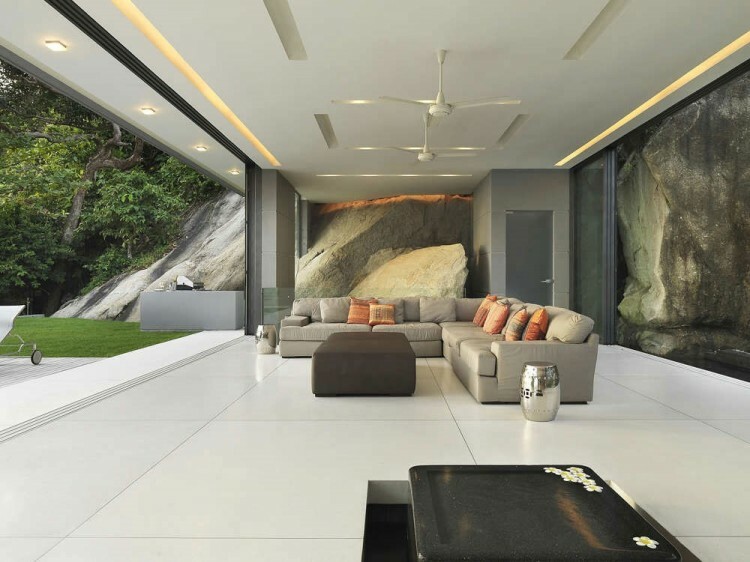 Landscape and daylight gives a unique projections to the interior spaces.